What makes a man a “wonder man?” It would be easy to point to extraordinary feats that different men (both real and fictional) have performed over the years to aid or protect their loved ones. But when I think about what makes a man wonderful to me, it’s the little things that matter. Is he there when I need him? Does he show up when he says he’s going to? If he says he’s going to do something, does he follow through? It’s these little things that I think make a wonderful man. Do you have a wonderful man in your life? He could be a significant other or he could be your father, son, or brother-in-law. He could even be an ex you still remember in somewhat fond terms. If you feel so moved, please share in the comments what characteristics make your wonder man wonderful. Below is an excerpt from my latest novel, The Reluctant Billionaire, in which Rhys (the billionaire) shows his own wonderful qualities. Also, don’t miss the giveaways before you hop away to your next site. There’s one below for this hop, and another here. If you check out the other giveaway, don’t forget to come back here in order to continue your hop. Thanks for visiting! “What did he do to you to make it too painful to see him?” Rhys said. She’d made it to the opening in the treehouse floor when Rhys grabbed her arm. The truth was pretty bad, although who knew what he was thinking. She didn’t want to talk about it though. She paused. “I told him I didn’t want an abortion and that I didn’t see the point, since we were going to get married. That’s when he laughed at me and told me it had all been a lie to get me into bed.” She’d been so gullible. What had made her think a rich, good-looking man would marry a round-in-the-middle cook? She put her hand on one of the arms around her. She’d gotten plenty of hugs from her family when she’d lost the baby. Somehow, this felt different. Maybe because Stanford hadn’t once consoled her. And now this man who hadn’t even known her then was giving her what she’d needed all along. Sophie leaned her head back and rested it against his chest. “It’s over. But sometimes I still think about my little baby. I wonder if it would’ve been a boy or a girl, and what it might have grown up to do. And I wonder if I would have lost it if he’d kept his promises.” She’d never know. But she’d always wondered if the stress of losing him had somehow hurt the baby. Rhys squeezed her tighter. They sat like that for a while. Then he loosened his arms and said, “Let’s get back.” He helped her find the wooden slats so she didn’t fall climbing out of the tree house. When they’d both reached the ground, he put his hand on her back and steered her down the path. Rhys didn’t say anything, just guided her down another path through shrubs and flower beds bursting with reds and pinks and purples. They seemed to be edging back toward the house, though she couldn’t see it through the trees. “Here we are,” Rhys said. They stepped into a small clearing still wild with clover and pretty little wild flowers scattered through the grass. As they stepped closer, she could see the ring of stones and the unhurried flight of ten…no, twenty, maybe even thirty…different butterflies. She took a few steps closer. Butterflies flew all around her. Rhys put his arms around her again and kissed the top of her head. They stood like that for a while and eventually, a butterfly landed on one of Rhys’ arms. It flapped its wings lazily not far from Sophie’s face. She’d never been anyplace that felt so peaceful. This is exactly where she’d have wanted her child to have gone. Sophie rubbed her cheek against Rhys’ arm. “Thank you,” she said again. Quietly, without talking about it, they disentangled themselves and left the butterflies. Rhys took her down a different path that led back into the forest. “You can go there anytime,” he said at length. He walked her all the way to the kitchen door before wandering back into the garden. She still thought she needed to avoid a relationship with him. But was she making a big mistake in pushing him away? In the midst of the growing attraction between Sophie and Rhys, they have other problems to deal with, too…a lawsuit, a billionaire ex-lover and more. In the end, there’s just one question: what are they willing to risk for a chance at love? Discounted for a limited time. Emma South’s new novel Writing Our Song will be out soon, and to celebrate, she’s giving away Clive Christian 1872 for Men, a $50 Amazon Gift Card, and a $25 Gift Card. And she’s gathered together several other authors (including me!) who have each donated three copies of a novel for an amazing zip file of romance. How to enter? Just use the Rafflecopter below! Great Sales and a Party, too! Two great things are coming up! 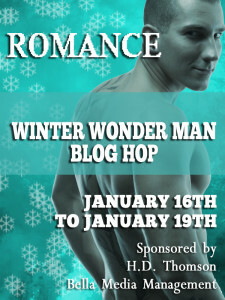 First, today — Black Friday — I’m joining a group of other authors in a big romance Black Friday sale! 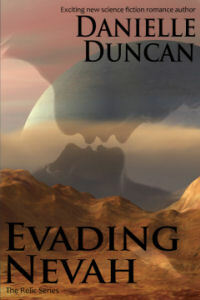 Check out the links below for Evading Nevah and many other books, all at $0.99 for today only! 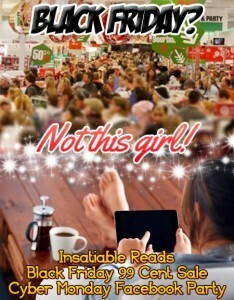 Second, that same group of authors will be holding a Facebook party on Cyber Monday. I hope you’ll join us! You can find out more or RSVP here. We’ll play games like “whose hot abs are these?”, give out tons of free books (no strings attached) and have a great time! Please join me — RSVP now! 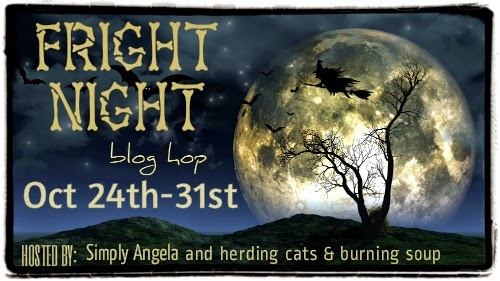 This year I read a lot of wicked cool books (and some of them were truly naughty). 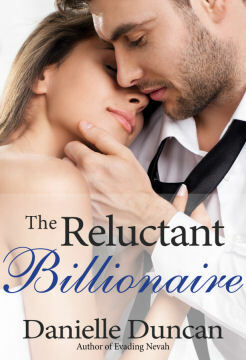 I thoroughly enjoyed I Married a Billionaire by Melanie Marchande about a marriage of convenience with a billionaire. I also went on a run of medieval romances, including Master of Craving by Karin Tabke, Heart of the Hawk by Elizabeth Mayne and my favorite of the year, Wicked by Jill Barnett. I’m currently reading another Jill Barnett romance, Bewitching. Have you read any wicked cool (or just wicked) books this year? They would if they knew the Relic was on board. He would just need to retrieve it and somehow take it with him when the Alliance dropped them off. Then keep it safe from the pirates while they waited to be rescued. As a plan, it wasn’t perfect, but it wasn’t bad, either. “I think so. If not the military, then a civilian ship. Our people take care of their own.” He immediately wished the last sentence back, but to his surprise, she didn’t bristle. He swallowed. That was a desert planet. He’d heard of it, not because he knew so much about other worlds, but because it was notorious for being a killer. People joked that Nevah was worse than Hell. Nothing grew. There was no shade, just the beating sun and the dry dust. And pirates? The place was rife with pirates, because no one else wanted to go there. This was where Alliance admirals thought babies should be sent. “I’m sorry.” Her voice sounded muffled. “I hope it’s enough,” she said. She looked so down, he couldn’t help himself. He gently pulled her into his arms and rested his cheek on the top of her head. She was so tiny. How could such a tiny woman be so strong? “We shouldn’t,” she murmured, but she put her arms around him and didn’t move away. He didn’t want to move away, either. She felt so good in his arms. Just right. And as soon as he moved, he’d have to remember she was someone he should never hold. And could never hold again. She shifted, maybe pulling away, and he tightened his grip without thinking. He wasn’t ready, damn it. He dipped his head and kissed her. The kiss held the force of his frustration at liking someone he could never like, at having to let go of someone he didn’t want to let go of. After a moment, she tightened her arms around him and kissed him back. If anything, that made it worse. He wasn’t alone; she liked him too. Now they’d both be lonely.